Joan here. Just so you know, the reason why we went up to San Francisco, other than to have a jolly ol’ time, was because of my birthday! Check out some of the cute gifts Tanya got me! 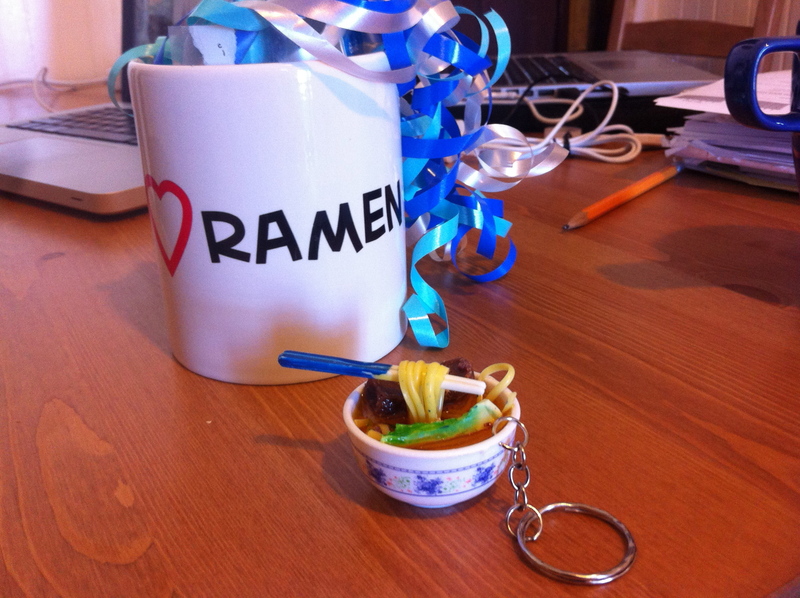 I ❤ Ramen mug and ramen keychain!!! 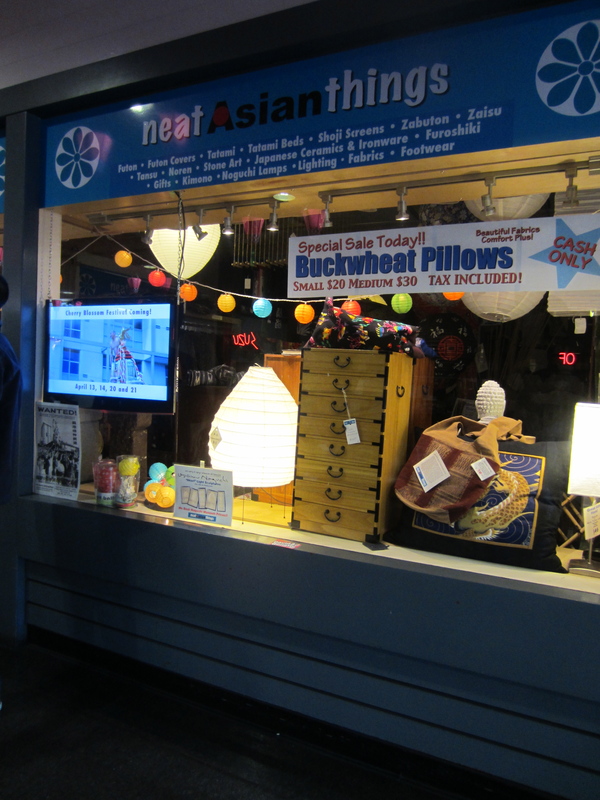 Joan: We did some sight-seeing and ate some good food throughout the day. 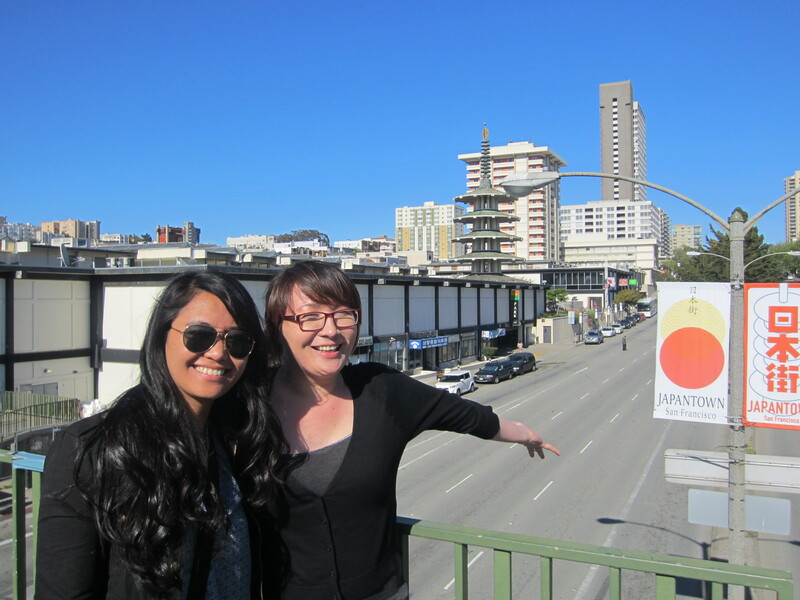 But one of the things we loved that day was our visit to Japan Town in San Francisco! It was so much fun because there was so much to see and do! I spent a lot of money on Japanese sweets and other random things. 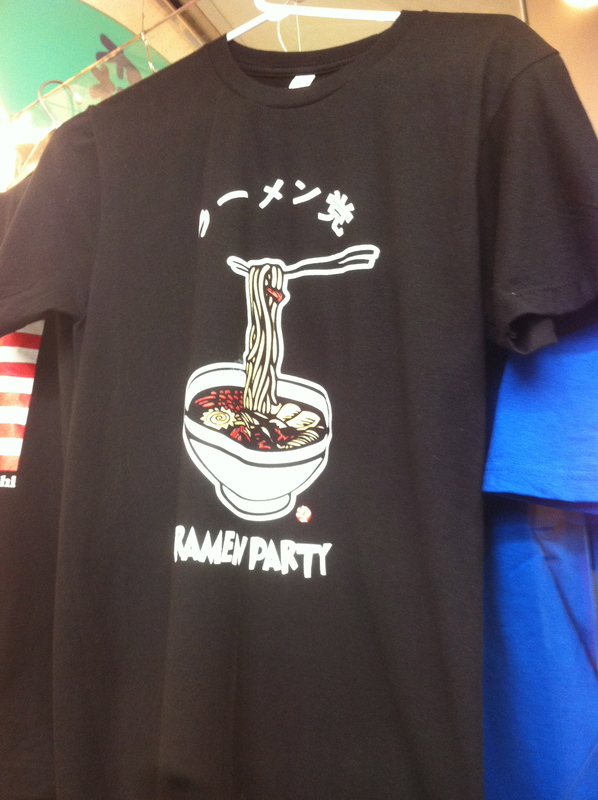 Yep, we each got ourselves a ramen party shirt! Joan: After Japan Town, we had dinner at Ken Ken Ramen, one of the places that Greg from Hisago recommended, in the Mission District. Parking was tough, like everywhere else in San Francisco. 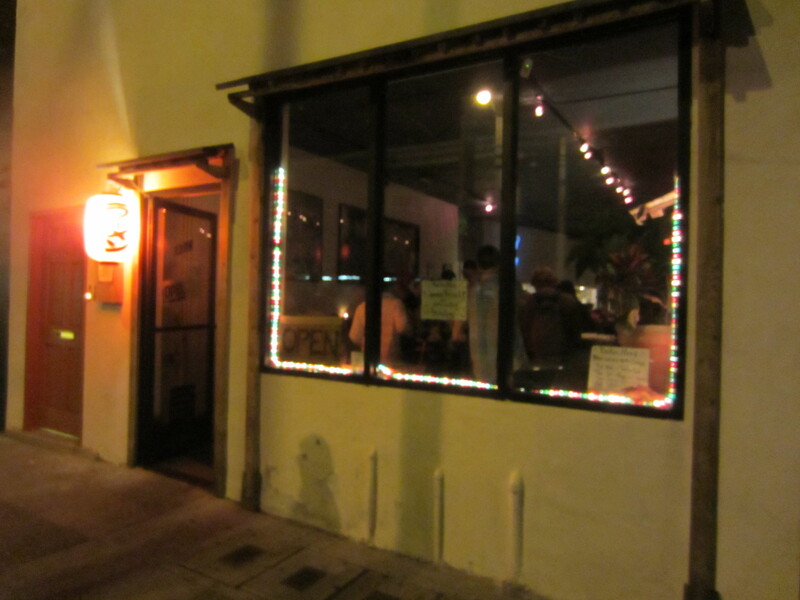 But we managed to get one a few blocks from the restaurant, in a sketchy area, so be careful when you park around here! The restaurant was packed and there there was a long waiting list. We must have waited for about 45 minutes to be seated. Tanya: Honestly? I hated the area and the atmosphere. The area was ghetto. There were bums, trash(even condoms), and even a car that was recently broken into. I didn’t care for Ken Ken on the inside. 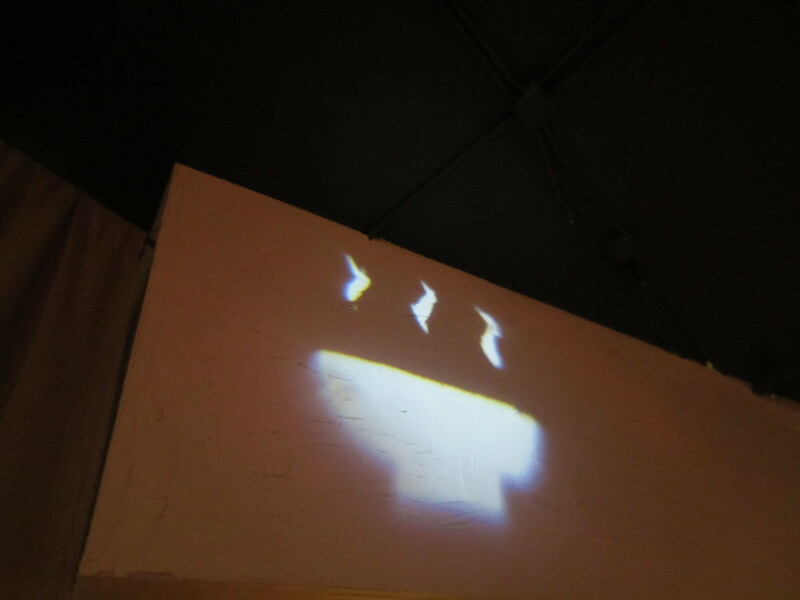 The acoustics made all the chatter amplified. The ventilation wasn’t great and was starting to feel stuffy. They wait was long but it wasn’t the restaurant’s fault. The food was delivered in a good time frame. The waitresses were great and speedy. I liked how clean the place was. Everything was clean in the kitchen and everyone worked as a team. I liked how there was a bar towards the front so people can drink before they are seated. I ordered the Miso Ramen. The broth base was tonkotsu and chicken with miso flavor, but I thought the miso was a bit overpowering for my preference. I wanted to taste the tonkotsu/chicken flavors but it was masked way too much by the miso. It had a nice and rich texture though. The noodles were pretty good and the egg was nicely seasoned and a little runny in the middle. The other garnishings were seaweed, bok choy, baby corn, bean sprouts, sliced woodear mushrooms, and menma… eck. I gave my menma to Mark. But it was a nice combination of veggies. The one thing I really wasn’t crazy about was their chashu. It wasn’t that tender and it took extra effort to chew through the outer parts of each slice. It felt dry. Overall, I thought it was an okay bowl of ramen. Sean ordered the Shoyu Ramen and Mark also ordered the Miso Ramen. Sean thought the Shoyu Ramen was pretty good, but it was not one of the best ones he’s tried. Mark thought his ramen tasted good but not great, and he wasn’t crazy about the grainy texture in the broth. He actually preferred his ramen at Hisago. 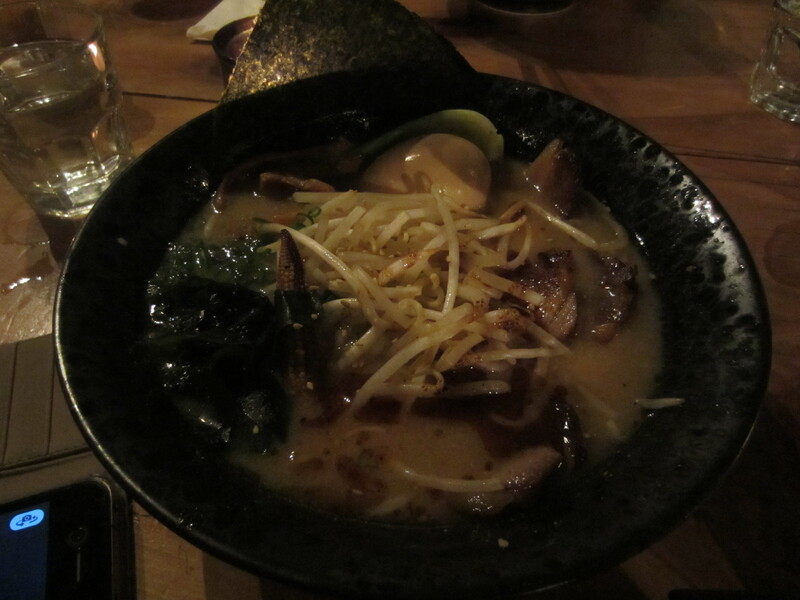 Tanya: I had the Miso ramen. They taste was good but the texture of the broth was thick and grainy. I was surprised by the broth. I liked the egg a lot. It was big and it was neat being able to see how they season the egg in the kitchen, it was only a peek but I got the idea. I though the nori was a nice touch and I liked the variety of veggies. The broth was actually at a really high temp, I didn’t mind it because it slowly cooked the bok choy. I liked the chashu pieces but it was a decent bowl over all. Nothing spectacular about their ramen. Joan: Despite the long wait for a table, the service was great. Everyone seemed very efficient and worked together. There was one particular waitress that had a smile on the entire time! To be honest, San Francisco’s ramen scene doesn’t compare to LA’s ramen. LA definitely has their ramen down, good enough that my Japanese friends constantly tell me that it’s just as good as ramen from their homeland. 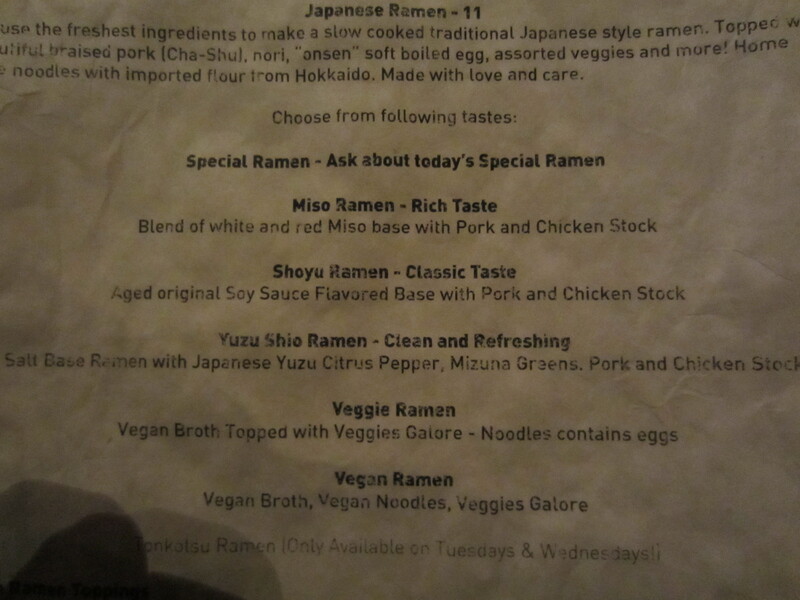 San Francisco’s ramen tastes like they’re still trying to figure it out. But that’s normal I guess. 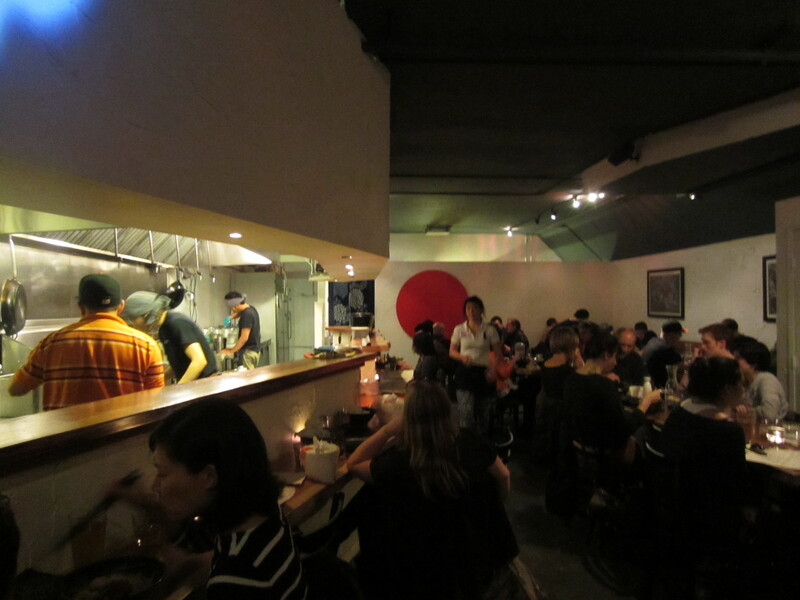 SF’s ramen scene has not quite boomed as it has in Southern California. I have heard recently that there are new places opening up in San Fran. There are definitely more places to try that I know I will attempt in the near future! 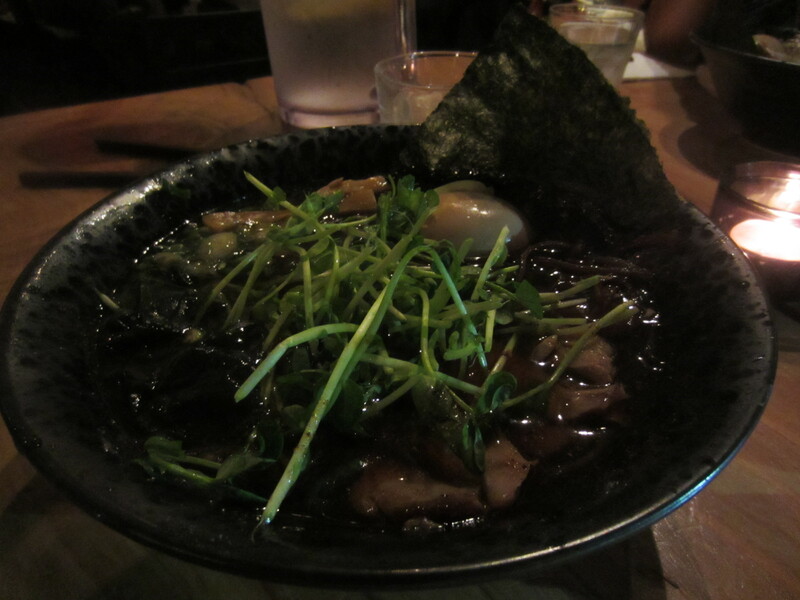 Tanya: I really do hope that ramen gets popular in San Francisco. It seems like there is a new ramen house popping up in SoCal every time I turn around. I do have to agree with Joan that it is no where compared to LA ramen. The restaurant didn’t have a sign! Joan: Since it was my birthday, the celebration wasn’t over with the ramen. 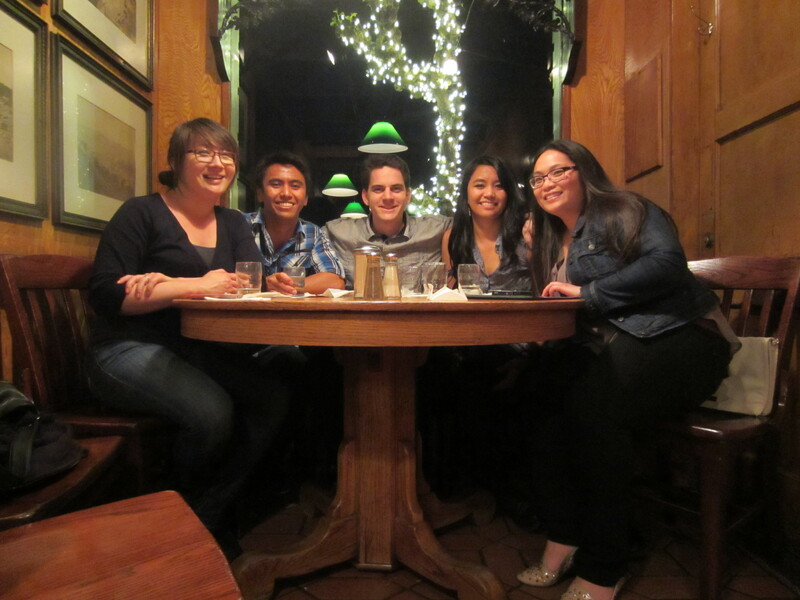 We ended our evening, for the third time, at the Buena Vista Cafe! My friend, Melanie, who I haven’t seen in a long time, joined us for the celebration! 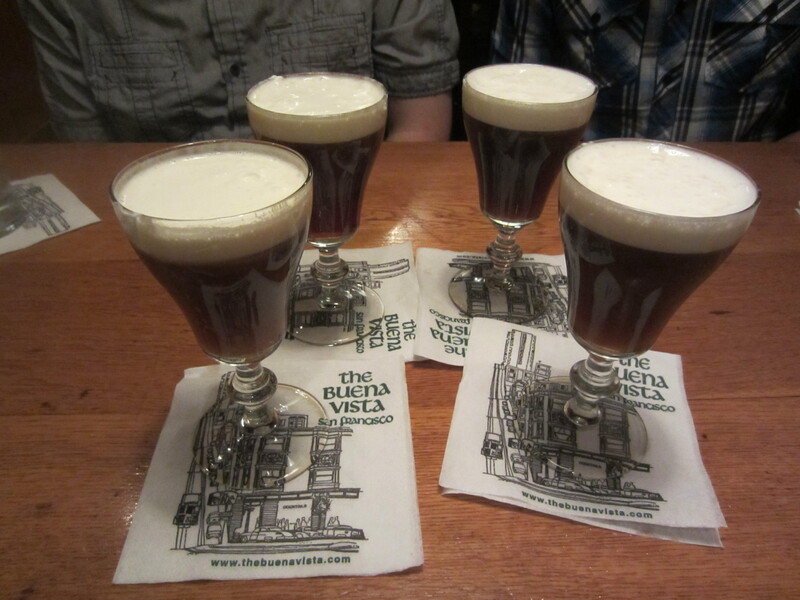 She lives near San Francisco and has not experienced the wonders of Irish Coffee. But don’t worry, she’s experienced the wonders of ramen with me before! FYI: If you ever visit the Buena Vista Cafe, make sure you go during the day time because that is when Larry, the bartender and magician, works! We managed to catch him twice during our time in San Francisco. He is the epitome bar tender! birthday at my new favorite place to be! We had such a wonderful time in San Francisco! We will post a photo slideshow of our trip soon. 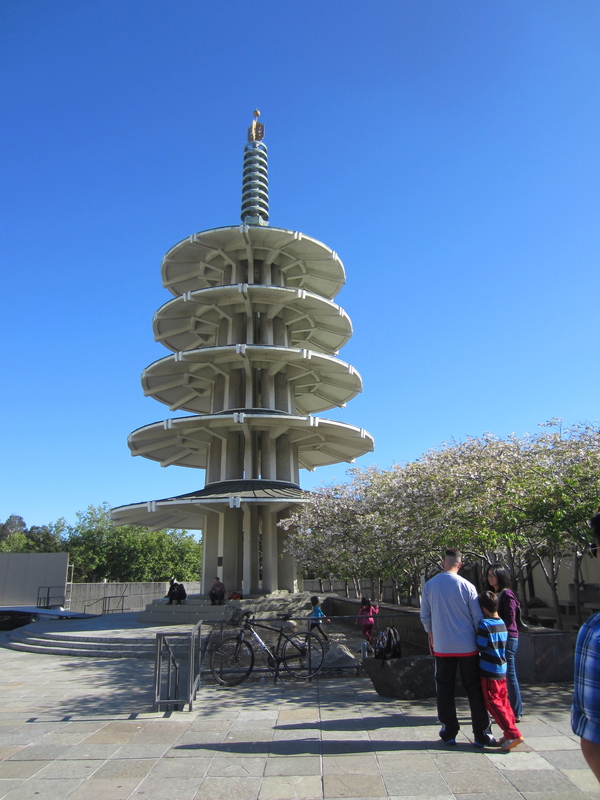 This entry was posted in California, Food, Japanese, Ramen, Ramen Run, Restaurant Review, San Francisco and tagged Buena Vista Cafe, Japantown, Miso, Ramen. Bookmark the permalink. San Francisco doesn’t really have any good places, the concentration of the better ramen places are in Sunnyvale/San Jose area. I haven’t checked them out myself yet (living so far away), but some of them have really long lines out the door all the time around dinner! I will definitely check out those areas the next time I travel up north!